Nowhere in his speech does Mr Rehn acknowledge that Cypriot banks were massively over-invested in ‘core tier 1 capital’ in the form of zero risk-weighted sovereign bonds (Greek bonds……………………. EUROBLOWN: Why the Greeks should ignore the scaremongering, and dump the euro. By The SlogThe twice-daily soap opera Euroblown is now pretty much into its stride as far as the format is concerned. Head Scriptwriter Wolfgang Schäuble briefs the cast on Mondays, after which the others learn their lines and dutifully do their best to make the wooden fantasy sound right. “Greece leaving the eurozone is no big deal,” said Wolfie last Monday, “We are prepared now”. Europe is “certainly more resilient” to a possible Greek exit than it was two years ago, when the bloc would have been “massively underprepared,” European Union Economic and Monetary commissioner Olli Rehn said Wednesday. Any Government that resorts to blackmail and bullying of its own citizens is not fit for government and cannot be trusted to represent the citizens of that country .The Irish government have betrayed their oath of office to defend the Irish constitution in favour of the wishes of the faceless bondholders and financial terrorists who are the same gangsters, currently dismantling the Greek nation .Fair play to the heroic Greeks for standing up for their land and culture God bless Greece! Again, it seems that the IMF and EU review mission teams are diligently and quietly working away on the ground in Athens whilst all hell is breaking loose everywhere else. First up, the European Commission seems to be getting exasperated at the lack of meaningful progress by politicians in Greece. “Time is running out” said our Finnish friend, the Commissioner for Economic and Monetary Affairs, Olli Rehn. What Olli was hoping for yesterday, was consensus amongst the main Greek political parties to the latest round of austerity measures and privatisation programme. Despite a three-hour (or five-hour, depending on your sources) extraordinary meeting of the heads of the main political parties in Athens yesterday, under the auspices of the Greek president, no consensus was forthcoming; indeed from this perspective, political relations in Greece seem to be fracturing with recriminations getting personal. What the EU wants is consensus to a road map of austerity and privatisation measures, it doesn’t want unpopular commitments unravelling a few months down the road as politicians jockey for advantage. Greece had its last elections in 2009 and the next ones are not due until 2013. The ruling PASOK party has 160 seats in a 300-seat parliament and it has additional allies in other parties but still the concern lingers that the €110bn bailout deal which was agreed in May 2010 may founder amidst political manoeuvres. If the EU was looking to early elections to provide a mandate for the bailout, then those hopes were dashed when the incumbent prime minister ruled out early elections after yesterday’s marathon meeting. Next up, the IMF and their acting managing director, John Lipsky repeated the IMF’s mantra yesterday that restructuring is not foreseen as long as Greece adheres to the bailout terms. What we all want to know is whether or not the IMF will withhold its €3.3bn contribution to the next €12bn tranche draw-down by Greece from the €110bn bailout in June 2011, and if the IMF is demanding that the EU provide assurances to fund the remainder of Greece’s maturing debt in 2011 and possibly 2012. And we’re unlikely to get any comment from the IMF on this question before 6th June 2011 when the review mission in Athens is due to conclude its work. There was a new voice adding shading to the debate yesterday when French president, Nicolas Sarkozy spoke in favour of bondholders sharing in the solution of Greek’s present woes. What he was calling for seems akin to the Vienna Initiative in 2009 where bondholders agreed to roll-over maturing debt. He specifically wasn’t talking about unilateral burning of bondholders. 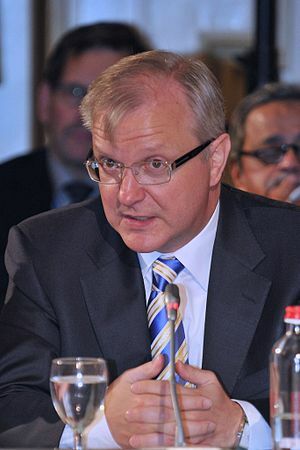 The national government perspective was backed up by Michael Meister, the CDU (Angela Merkel’s lot) finance policy spokesman who said Greece’s creditors may accept an extension of bond maturities if the Greek government adopts a more aggressive approach to cutting debt. With 10-year bonds trading at 55c in the euro and signs of growing turmoil in Greece, it’s hard to see bondholders being understanding. The ECB has been silent onGreecein the past 24 hours. So on Day 4 of GreekWatch what is the likely prognosis for the Greek patient? (1) Greek politicians impose the austerity and privatization plans agreed with its creditors. This will certainly be attempted in early June in parliament but it seems messy without consensus. And unionists and protesters seem to be chomping on the bit to hit the streets during the hot summer months. (3) The EU either picks up the entire tab for the next tranche or provides an assurance to fund the roll-over of Greek debt because the IMF won’t risk more funding and the immediate consequences of default will disproportionately affectEurope. This is messy because it may require an additional bailout (€60bn according to some estimates on top of the existing €110bn) and will require national parliament approval inGermany,HollandandFinlandwho all seem increasingly hostile towardsGreece. (4) Greece doesn’t get the next tranche at all and defaults which would probably lead to all Greek banks being nationalized and capital controls to prevent euros leaving the country/banking system. Given thatGreecestill has a primary budget deficit, it would need either immediately close that or else exit the euro. Here we see again the method the EU is using to impose their so-called austerity measures on the Greek people .By trying to get the local politicians to do the dirty work for them .This strategy was very successful in Ireland as they waved plum jobs and money up to the noses of our politicians and they were falling over themselves to do the bidding of our new masters in Europe .Gone out, are the shambolic democratic principles in favour of dictates from the EU and the IMF. Memories of the Lisbon and Maastricht treaties have all gone, and the true intentions of these con jobs are now apparent. The Irish political class have betrayed our people and we are now watching unfold before our ever eyes the tragedy that awaits us in Greece .We have a few more months before all of our own financial resources disappear down the black hole of bank bailouts and outrageous interest payments on private debts that have been foisted on to the shoulders of the ordinary people. Our national pension fund is all but disappeared (30 Billion) and when we reach the bottom we will find a change in tone from our new government as they realize that the mantra of no default hasn’t cut any ice with the international financial markets .Just declaring this mantra every so often doesn’t make any more believable ,in fact just the opposite is true .Last year we were constantly hearing from the previous Finance minster that “we had turned the corner” and his expression “Our plan is working “was met with outbursts of laughter from the backroom financiers and bondholders .This is now been repeated by Mr. Edna Kenny, who seems to believe his own totally unrealistic utterances that the Irish government will not default, will not need to extend the bailout term and will not need any more bailout funds .Edna why not come out and jus flatly deny that the IMF are in the country and declare that their presence is a figment of our collective imaginations. Austerity, we haven’t seen anything yet especially now that we know that this new government is set on staying the course Fianna Fail set before the last election. We have been conned and the agenda to financial cripple the Independence of Ireland is about to get serious with the end result of enslaving the people of Ireland to the yoke of a United States of Europe governed by the German, French and our old colonial power England . The IMF and EU teams seem to be working away quietly on their review mission in Athenswhilst the discussions about new austerity measures and privatisations get louder. There were rumours yesterday evening that the Greek prime minister was considering a referendum on new austerity measures though that seems to have been dismissed today with the claim that he is only seeking “consensus” – remember the prime minister controls 160 of the parliament’s 300 seats so “consensus” is a PR exercise, but it is one advocated by the IMF and EU. There were small-ish (by Greek standards) demonstrations on the streets yesterday evening when some 20,000 protesters across a number of cities staged peaceful protests. Full article at source http://wp.me/pNlCf-1rh. This morning I nearly fell out of my bed when I heard Ivan Yates and Willy Slattery Head of Ireland State Street in the IFSC take opposite sides to the problems of Irelands Debts .Judging from Mr.Slattery utterances and his categorical support for Mr. Edna Kenny’s declaration that there will be no default speaks volumes. This confirms to me that the Bondholders have indeed their feet under the cabinet table .By voting out the Last government we have unwittingly placed the spokespersons and lobbyists for the Funds industries and bond holders at the centre of power in Ireland .Just listen to this banisters blatant defence of his own interests and that of the international hot money industry in the IFSC. His claim that we now have good transparency in the Finances of the country is laughable and an outright lie. There is estimated 1.75 trillion Euros in managed funds in the IFSC and I would like to know what percentage is been paid in taxes for the secure harbour the Irish government is giving these dubious funds .after all let’s say the government gets .5% that would equate to an instant 8 750 000 000 Billion .in taxes for the hard pressed Irish Government. Now why did Mr.Slattery not suggest his industry pay this tax??? No he wants the low paid workers and the unemployed to cough up and keep him and his cronies in business in the IFSC.As for Mr. Yates at least he understands that we simply cannot pay these debts as we simply do not have the earnings capacity . BRUSSELS: Stressed eurozone states from Portugal to Finland faced up Saturday to the need to renegotiate Greece’s bailout repayments as “catastrophic” Athens finances returned to haunt the EU. “We think that Greece does need a further adjustment programme,” Luxembourg Prime Minister Jean-Claude Juncker, who chairs the Eurogroup of finance ministers, said after closely guarded talks in Luxembourg late Friday. “This has to be discussed in detail,” he said, indicating it would top the agenda at a two-day meeting of eurozone and European Union finance leaders in Brussels on May 16 and 17. The resurrection of the Greek debt conundrum will reverberate around political Europe. To begin with, it is sure to complicate coalition negotiations in Finland with an ultra-nationalist, anti- EU party that scored a significant breakthrough in elections on a platform of refusing to participate in Portugal’s upcoming bailout. Dow Jones Newswires reported that Germany and France did not see eye to eye during the unscheduled Luxembourg meeting. Greek newspapers also spoke of postponements on the maturity of 65 billion euros worth of bonds this year and next, a postponement of national deficit reduction targets as agreed with the EU and even a possible “grace” period of no interest payments. The Greek public deficit for 2010 was revised upwards, from 9.4 percent of gross domestic product to 10.5 percent. That was blamed on a deeper-than-anticipated national recession that combined with brutal cuts in public spending to hack away at tax revenue, and while the country’s top crimebuster has been moved to fight fraud and corruption in a bid to squeeze out every last euro due, the prospects for this year and next are slipping. Greece was given a 110-billion-euro ($160-billion) bailout last year, the terms were eased by EU leaders in the spring and a new rejig would leave the issue weighing on EU partners’ finances well into the next decade at least. Athens already owes more than a year-and-a-half of its entire economic output, some 340 billion euros, which markets consider unsustainable, leading to growing fears of ultimate default — the nightmare scenario for the eurozone as a whole. “We did not discuss an exit for Greece from the eurozone, we think that would be a stupid option,” Juncker underlined after the meeting at a Luxembourg castle with Germany’s Wolfgang Schaeuble, France’s Christine Lagarde, Italy’s Giulio Tremonti and Spain’s Elena Salgado. European Central Bank chief Jean-Claude Trichet, the EU’s economic affairs commissioner Olli Rehn and Greece’s George Papaconstantinou also took part in talks triggered by concerns in the United States and at the International Monetary Fund, that “ruled out any restructuring of Greek debt,” Juncker added. The result will leave ongoing EU efforts to close off a sorry chapter at a late-June summit looking ever more complicated. Greece was due to return to commercial borrowing markets next year, but with current yields on benchmark 10-year bonds hitting 15 percent — junk level compared to Germany — “it is in a pretty catastrophic situation,” according to a source close to the talks.